No need to raid the closet looking for your favorite pair of work boots. Replace them with these Wolverine men’s workboot and move on. 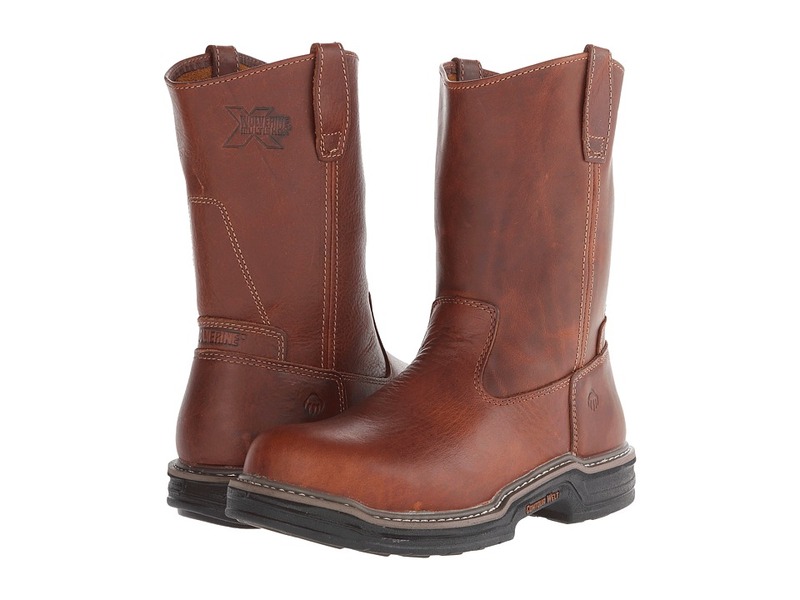 Features full-grain leather uppers for durability. Side leather pull tabs for easy on and off. Contrast stitched detailing. Wolverine MultiShox removable cushion for comfort. Lightweight PU midsole for cushioning. Wolverine MultiShox rubber lug outsole for maintaining grip. Classic Wolverine Contour Welt. 10 boot cut. Steel Toe and Electrical Hazard ASTM F2413-05 M I/75 C/75 rated. The Steve Madden Whysper Boots feature a Leather upper with a Round Toe. The Man-Made outsole lends lasting traction and wear….